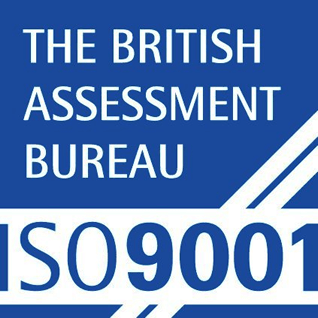 MyGolfBuggy.com are pleased to annouce the achievement of ISO 9001:2015. The latest quality management system standard. Welcome to My Golf BuggySuppliers of golf, commercial and bespoke vehicles.We Buy Golf Buggies! Mygolfbuggy.com supply new and pre-owned petrol and electric golf buggies from the best manufacturers in the world; Club Car, Cushman, E-Z-Go and Yamaha. We source and supply used golf buggies, second hand golf buggies and ex-demonstration golf buggies. Our large stocks of pre-owned buggies are good value and a reliable alternative to new vehicles, these all come serviced prior to delivery. First impressions count, and when your guests and visitors arrive, what better way to impress than offering a shuttle buggy to help their visitor experience. Whether they are for a hotel, National Trust site, airport or wedding venue these shuttle buggies offer your guests a first class service. Available in 4-12 seat options, these transport buggies can help staff and create that great first impression. To complement our range of golf and turf machinery we have included some agricultural machinery that is all pre-owned. These agricultural vehicles can be fully serviced prior to delivery. We have a range from tractors to home grass cutting equipment that is all in full working order. These vehicles can offer massive financial savings as new these vehicles can be very expensive. We supply vehicles that solve transportation and distribution problems by providing low cost solutions to otherwise expensive or labour intensive issues for industrial sites, catering departments in hotels, schools, golf courses and events. Our buggies can be fitted with cargo boxes that can carry hot and cold food boxes, trays, drinks, tables and chairs. These boxes are manufactured "in house" and can be bespoke to a client's own design or we can design them for you. These buggies are the perfect solution for all your equestrian needs. They are used for chain harrowing, scarifying, seeding, sand school levelling, "poo-picking", horse box moving and parking, general maintenance and hauling. These buggies offer massive savings from other farm or paddock type machinery including benefits such as silent operation, cheap to run and good weather protection. We can supply new trailers for golf buggy use going to and from the golf course. These trailers can also accommodate ATV, Mules, quad Bikes and can be converted to transport motor bikes. To complement this range of new trailers we also have available to buy a range of pre-owned trailers including Ifor Williams and Horsebox trailers. We can supply new or pre-owned Ambug® Medical Vehicles. These are used for stretcher-carrying around sports fields, school campuses and training grounds. We supply football clubs, schools and universities with this type of vehicle and bespoke modifications can be carried out with client's own colours and logos. Weather protection is also available as requested. These buggies can be electric or petrol-based and are ideal vehicles for any outdoor event where medical cover is required. Low speed electric vehicles for use on the road. We supply road registered buggies that can be based on a pre-owned or new buggy. This type of road legal buggy is registered for restricted road use only but is ideal for use on a private or public estate where crossing and travelling short distances on public roads is necessary. These buggies are supplied with number plates, a tax disc and the relevant V5 documentation. Featured VehiclesNew Stock Every Day. Commercial VehiclesIncreasing efficiency through innovation. Parts OffersVisit our accessories section to view all our parts offers.